Whether your workplace is a plant or a cubicle, visual organization leads to productivity. How important are visual cues in your workplace? Think of how a traffic intersection works when the lights aren't working. No one knows exactly what to do...there are questions! 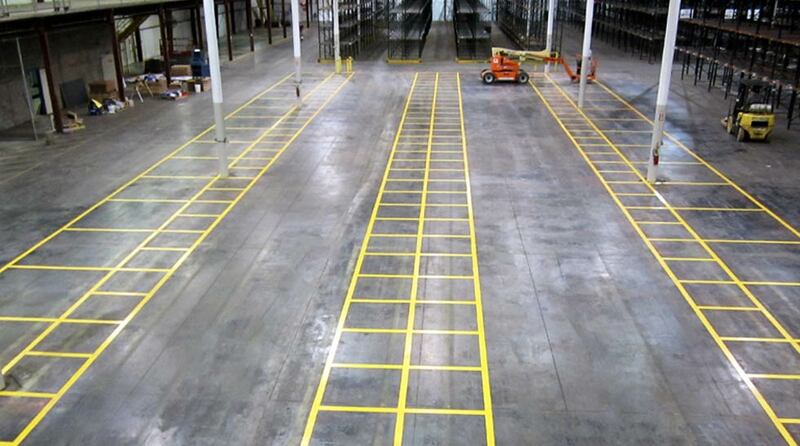 Statistics have shown that plants, warehouses and distribution centers are more productive when they use an organization structure that uses visual cues. Facilities that rely on visual organization practices use visual instructive cues throughout a building to guide, inform and instruct employees. Visual workplaces are key to keeping the workflow moving in a business and ensuring employees are able to stay at optimum productivity. What slows that down? Questions. Where is the tool I need? What do I do next? Which direction do I go? When an employee must stop what they're doing to ask a question, there is a pause in productivity. Visual workplace expert, Dr. Gwendolyn Galsworth, says this about visual workplaces: A visual workplace is self-ordering, self-explaining, self-regulating, and self-improving; where what is supposed to happen does happen, on time, every time, day or night — because of visual devices. A visually organized workplace needs visual devices or visual cues. That's where we come in. 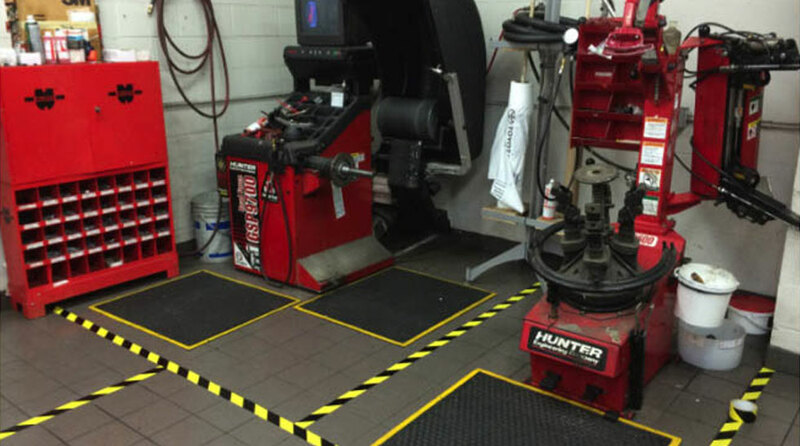 Our flagship product, Superior Mark™ Floor Tape, as well as hundreds of other signs and floor markings we offer, can be the key ingredient in helping you create, implement and continuously improve a plan for visual organization in your workplace. 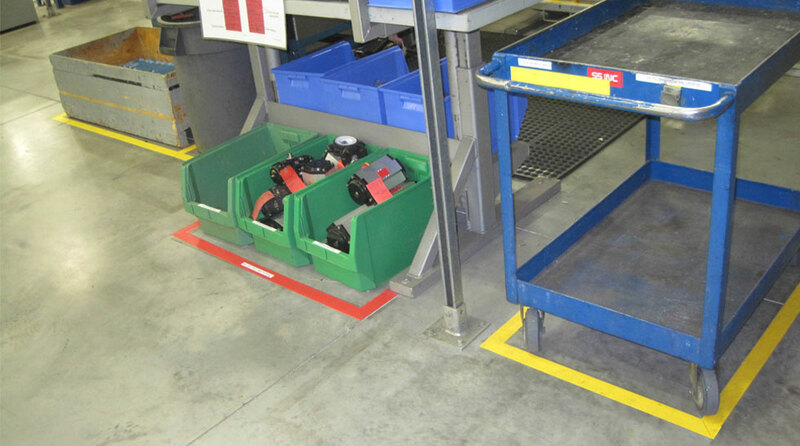 By using signs and floor marking tape to direct employees, remind employees, organize employees and keep employees safe, you'll keep your worksite organized and more productive. We have the products to make sure your workplace is visually organized, your employees are safe and the workflow stays moving. A visually organized workplace needs visual devices and visual cues. See photos of some of the hundreds of products we offer that can aid you in visually organizing your workplace. 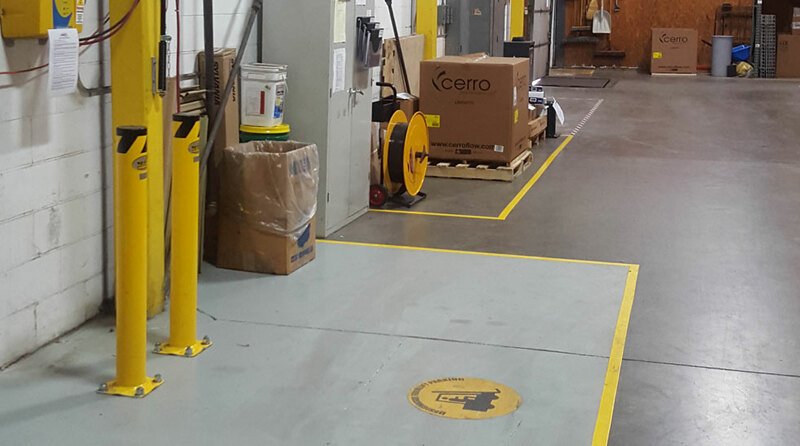 Our floor marking tapes, directional signs, safety signs and markings and floor signs can all be customized to best suit your needs. What is a visual workplace?